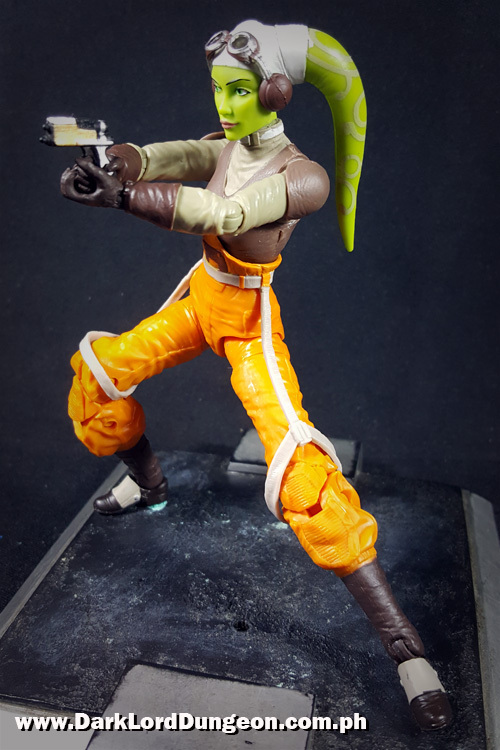 If all you do is fight for your own life, then your life is worth nothing. 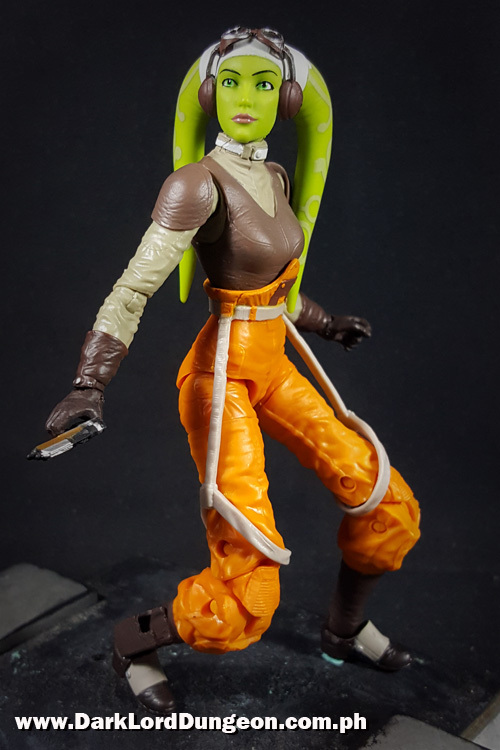 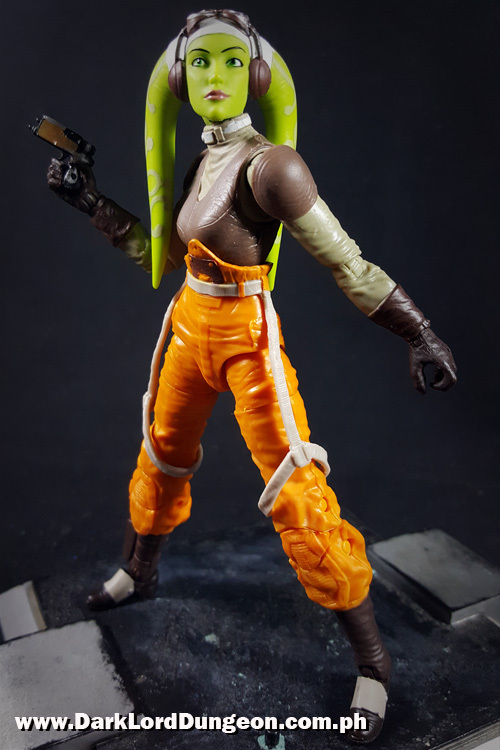 The Star Wars Black Series Hera Syundulla Action Figure is without a doubt one of the most beautiful action figures we've seen in a while. 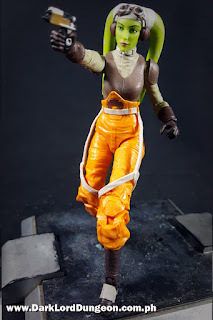 And a very, very VERY far cry from her bride-of-Kermit-the-Frog 3.75" version. 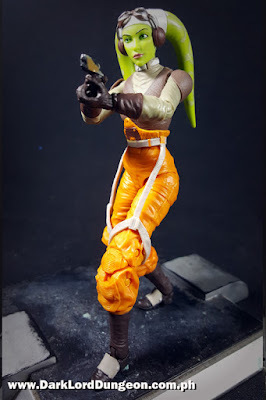 You can laugh at that travesty here. 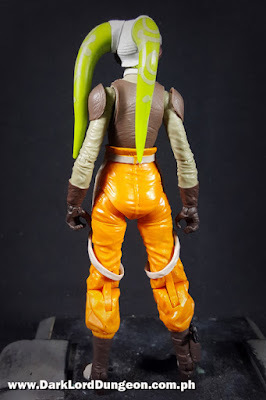 As with the Mandalorian Sabine Wren, this is Captain of the Ghost Hera Syndulla, not yet Hera Syndulla from Season 3 of Rebels - given that she does not bear yet the accouterments of a Rebel Officer. 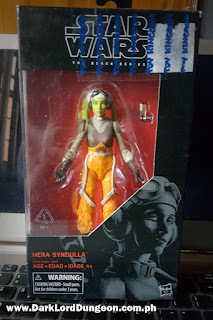 However her blister pack does mark her as Captain of the Rebel Alliance so this is the Season 2 Hera Syndulla - but certainly not General Hera Syndulla from Rogue One. 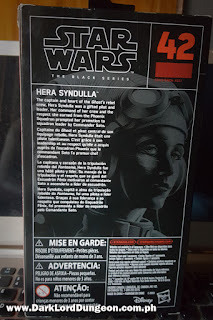 The Star Wars Black Series Hera Syndulla Action Figure's blister pack reads "Hera Syndulla: The captain and heart of the Ghost's rebel crew. 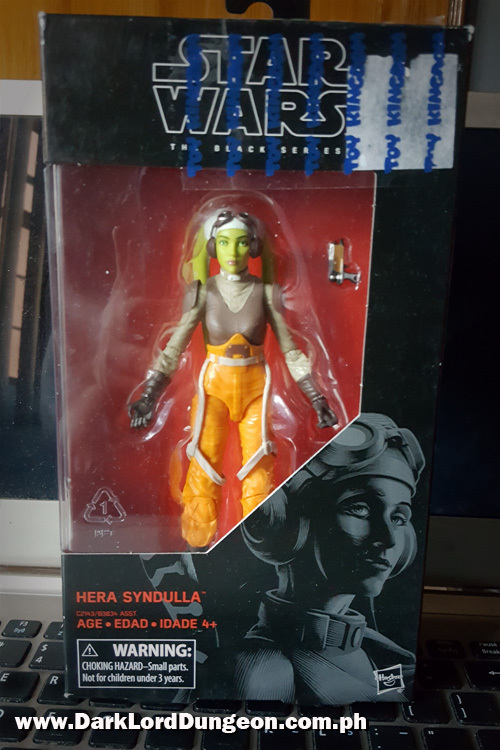 Hera Syndulla was a gifted pilot and leader. Her command of her crew and the respect she earned from the Phoenix Squadron prompted her promotion to squadron leader by Commander Sato." 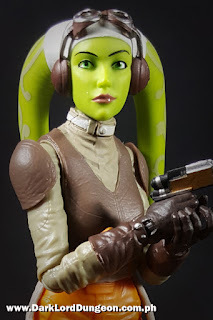 On a more personal note, we really like that Hera Syndulla isn't very stereotypical of the Twi'Lek race. 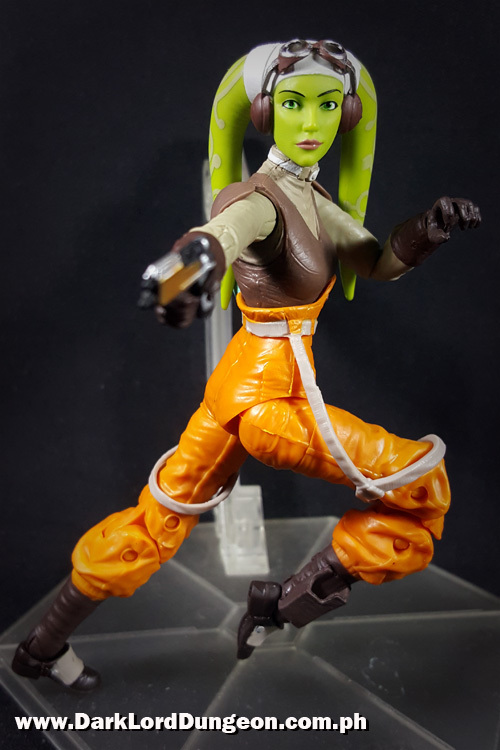 We've yet to see Hera try to seduce anyone. 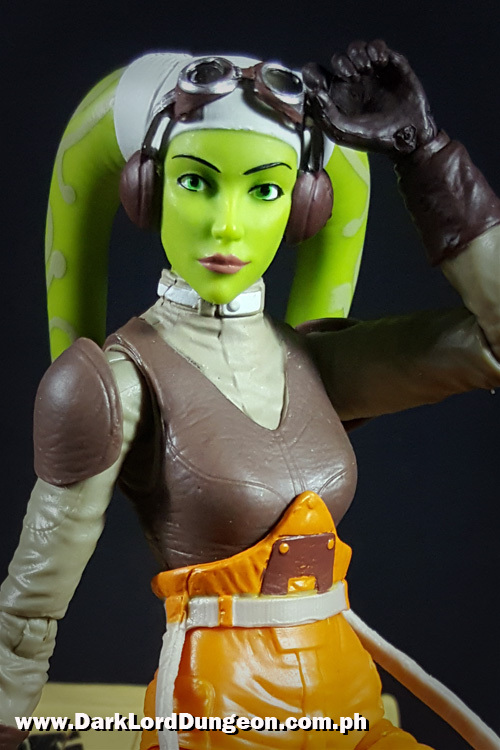 Instead she stands out by not using her sexuality to achieve her objectives. Hera Syndulla is voiced by model Vanessa Marshall. 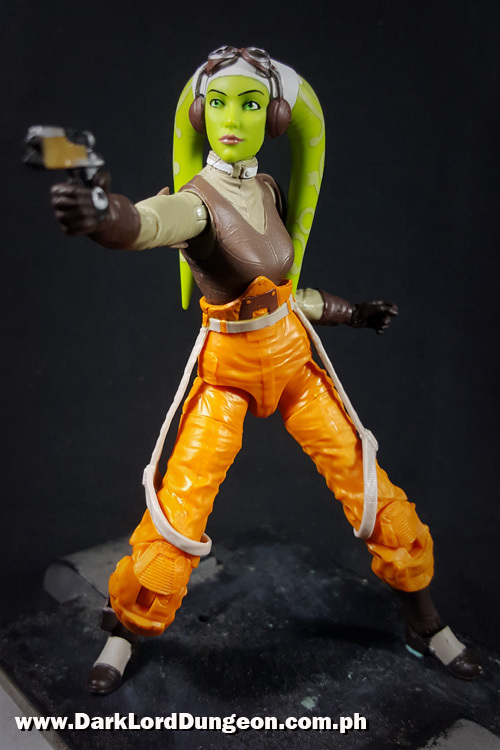 Hera's action figure also comes armed with a Blurrg-1120 holdout blaster which fits snugly in her right foot holster. 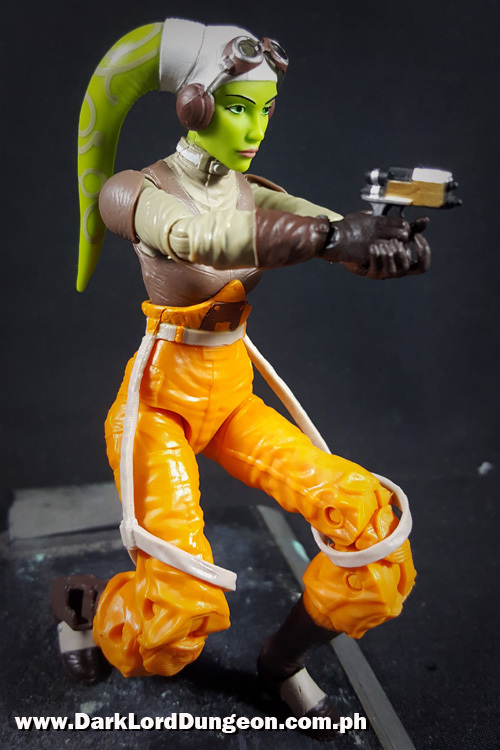 According to Wookipedia, the Blurrg comes with 9 firing modes including single and double shot - we have no idea why a blaster would need 9 firing modes. 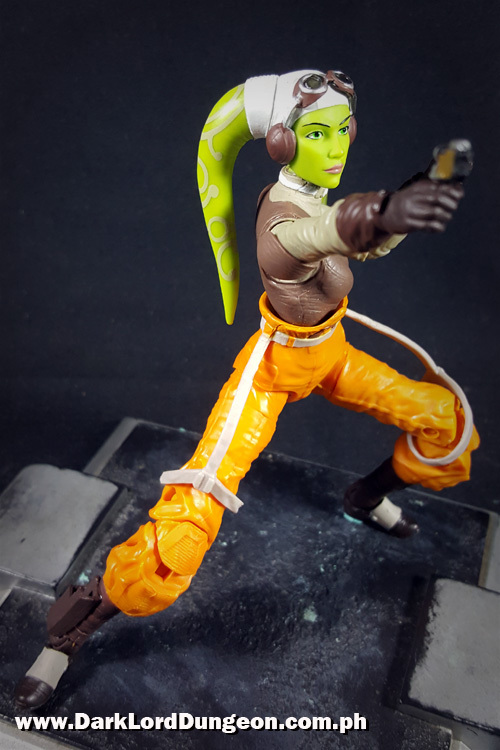 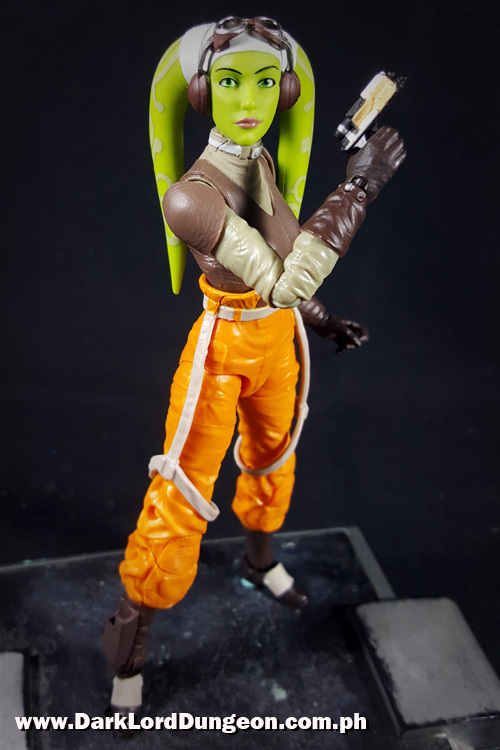 WHAT'S TO LIKE ABOUT THE STAR WARS BLACK SERIES HERA SYNDULLA ACTION FIGURE? 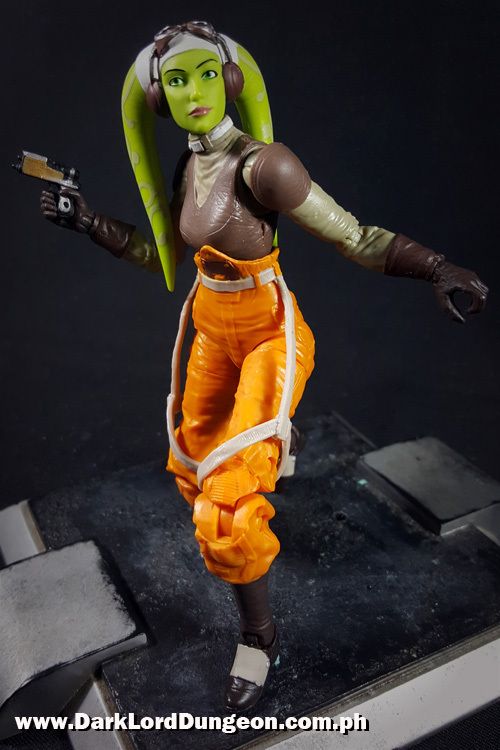 FIRST: Hera is incredibly beautiful. 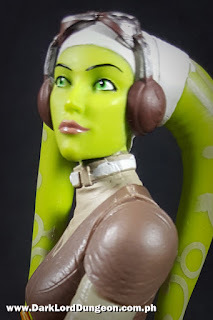 Although we should probably mentiion at this point that Twi'leks are hairless - with the exception of having eyelashes and a few genetic anomalies. 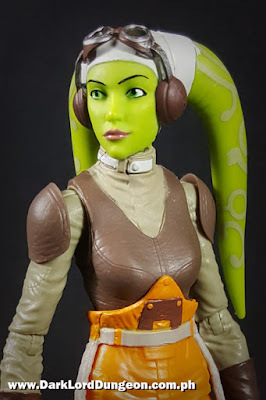 So Hera Syndulla's eyebrows are tattoos done to make her look more human. 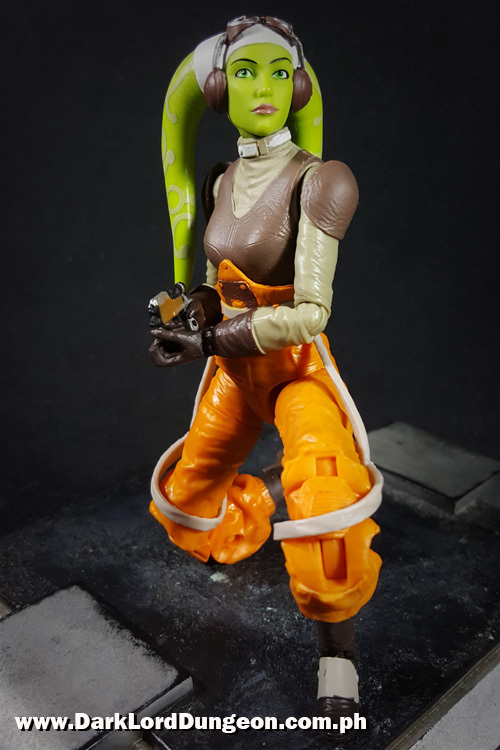 We really, really appreciate this given how horribly scarred we were by her Kermit the Frog version. We really hate her 3.75 inch version. 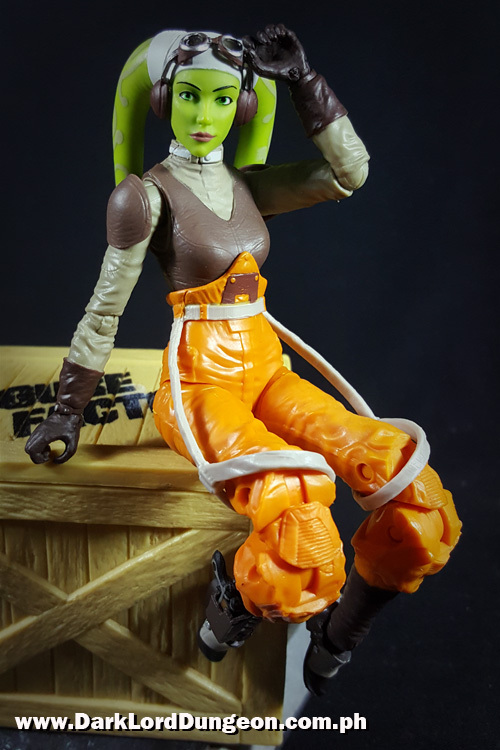 We found nothing to like about that action figure. 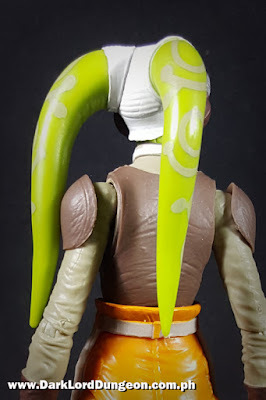 We'd also like to call out how subtly her Lekku's (Head-tails) tattoos had been painted - again in stark contrast to her 3.75 version. Definitely prettier than Jedi Master Aalya Secura. SECOND: Hera Syndulla's articulation is excellent. 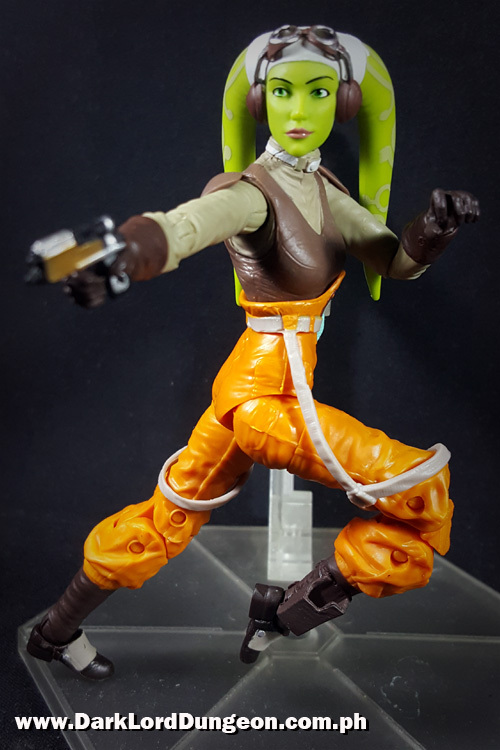 Yes you'd think she looses some articulation thanks to the length of her lekku, but her lek are soft enough that you can move them over her shoulders if you need to. 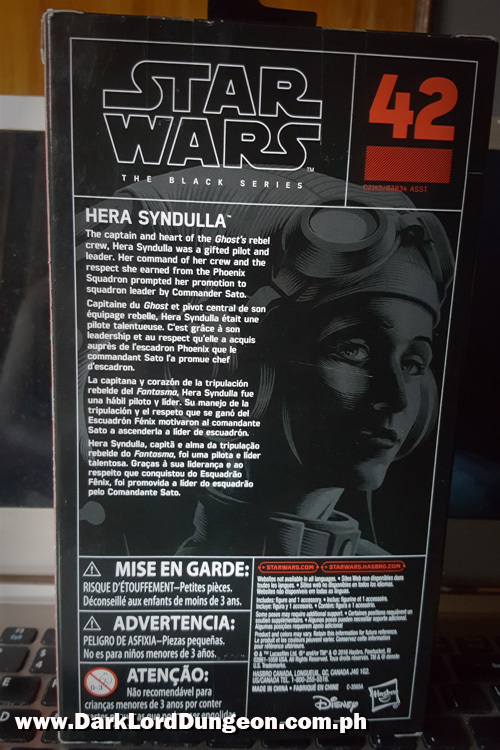 .... not the powers they are graced with. We are fighting a bigger fight, but it's still the right fight. 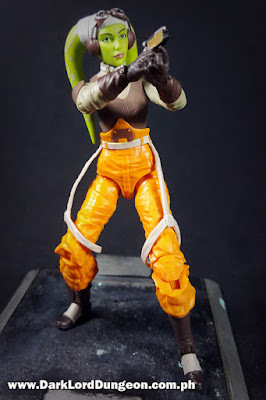 War. 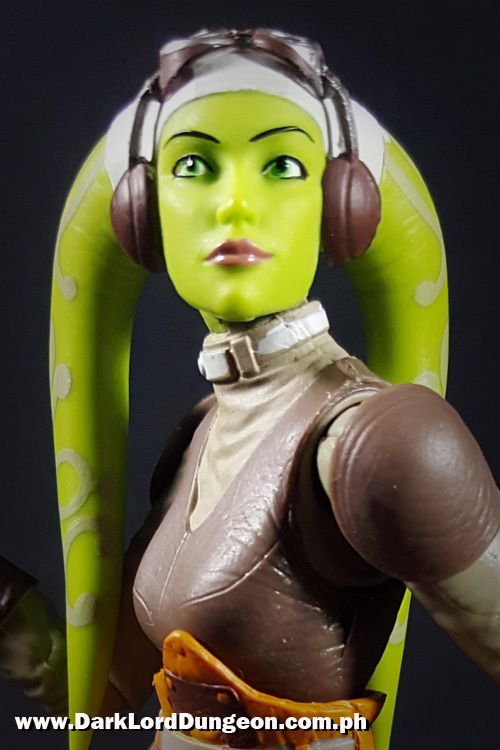 It's all you've ever known, isn't it? You were so young when you survived the Clone War: no wonder you are as equipped in spirit to fight as well as you do. War is in your blood. I studied the art of war, work to perfect it, but you...you were forged by it. 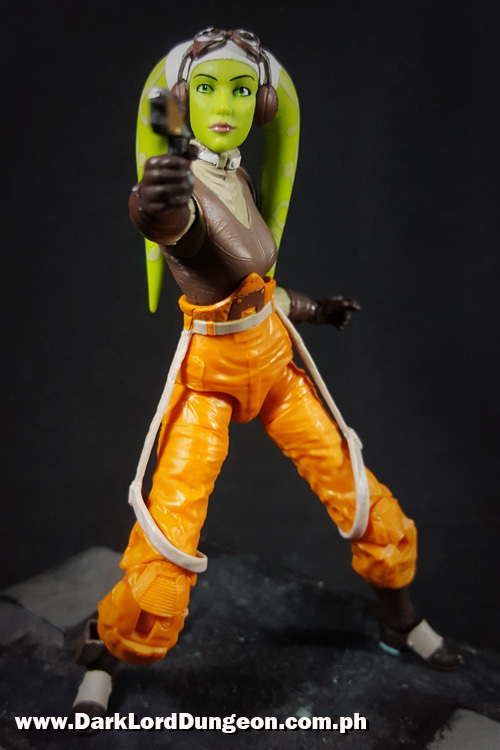 We are fighting a bigger fight. 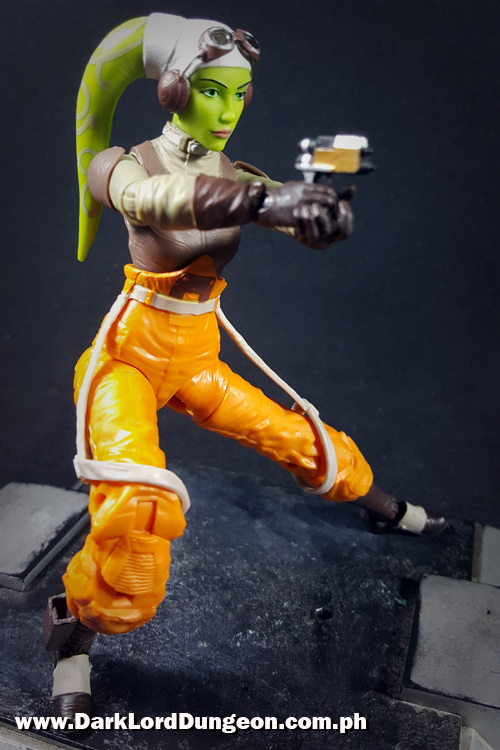 WHAT'S NOT TO LIKE ABOUT THE STAR WARS BLACK SERIES HERA SYNDULLA ACTION FIGURE? 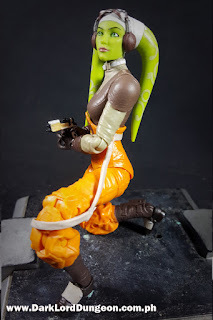 FIRST: There's a question we can't find the answer to right now with regard to her physiology - It's something we also noticed with Aalya Secura: It could be just us or an illusion of construction, but are the thighs of Twi'leks supposed to be much much longer than their shins? 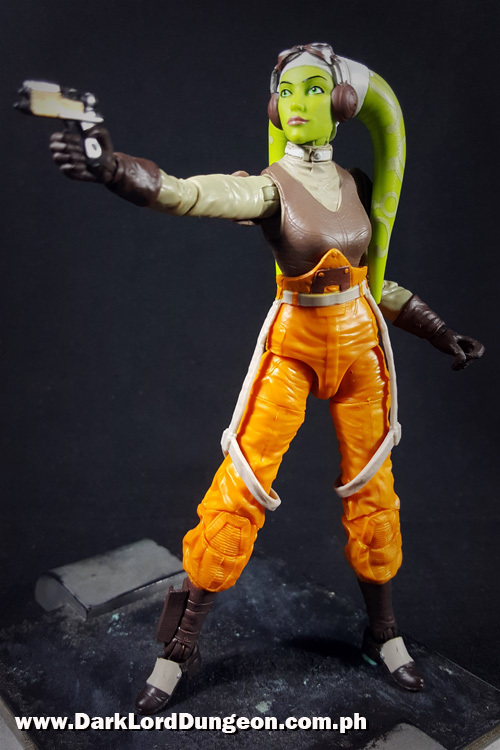 But that might just be us. SECOND: Her goggles don't come down - a bit of a nitpick. 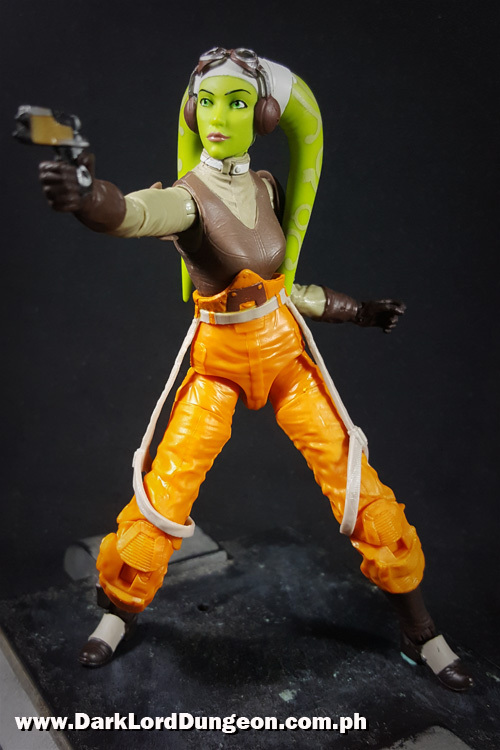 THIRD: She just has that tiny blaster as an accessory. It feels a bit short. 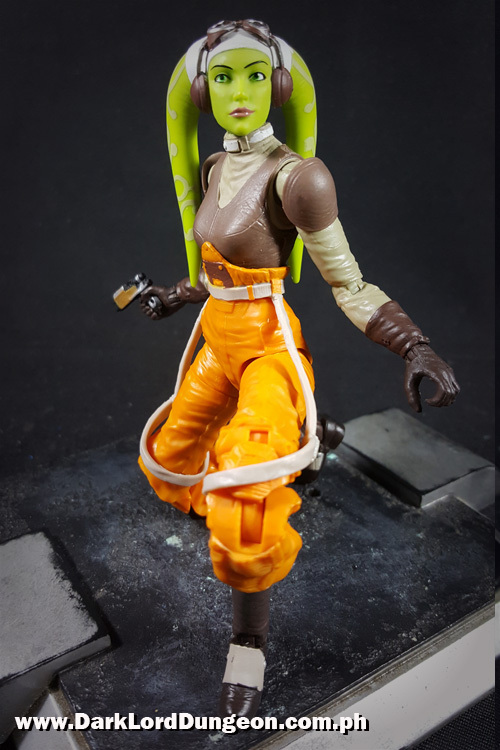 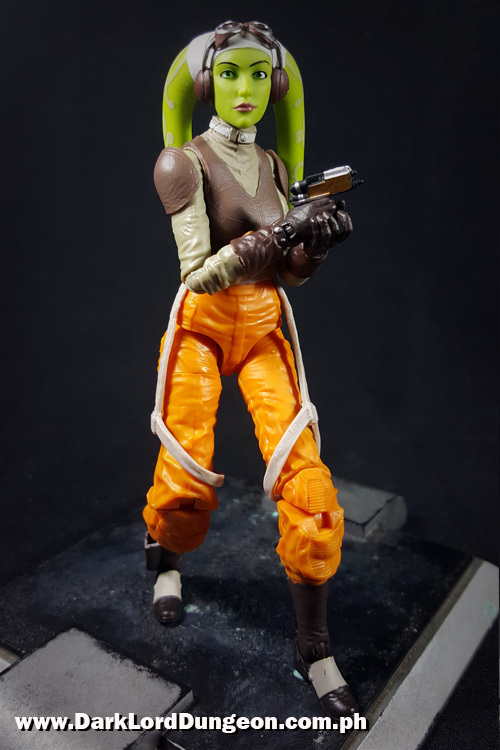 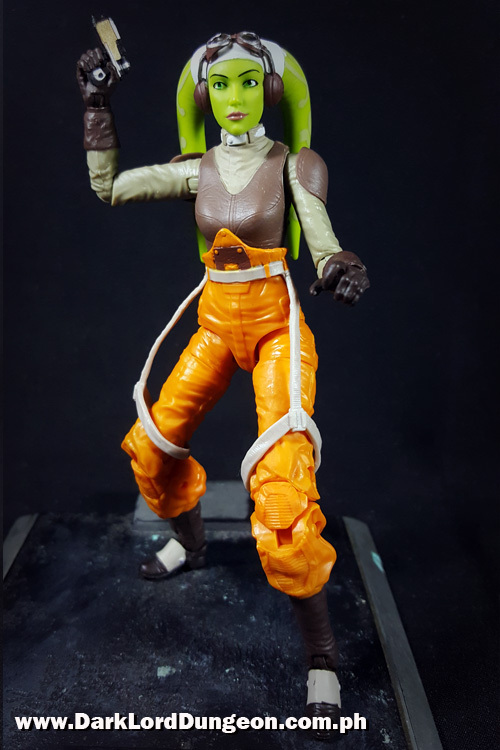 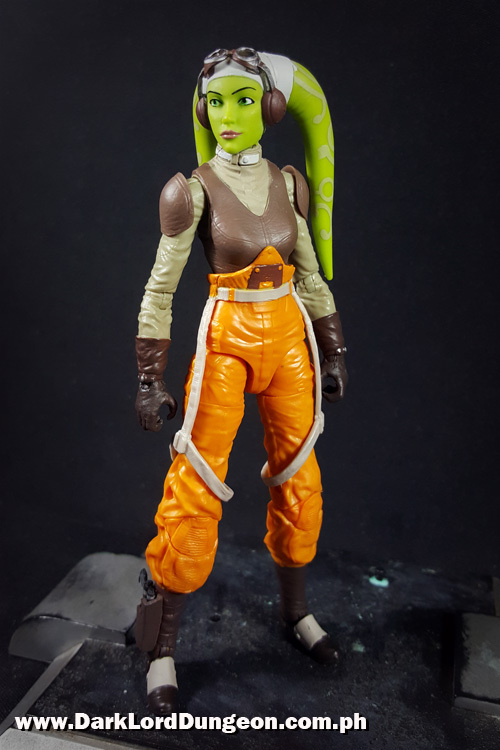 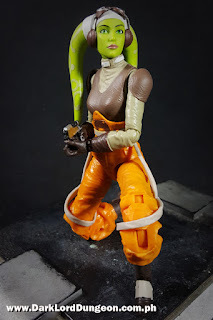 The Star Wars Black Series Captain Hera Syndulla is supposedly a bit hard to find - or people are hoarding her here in the Philippines. 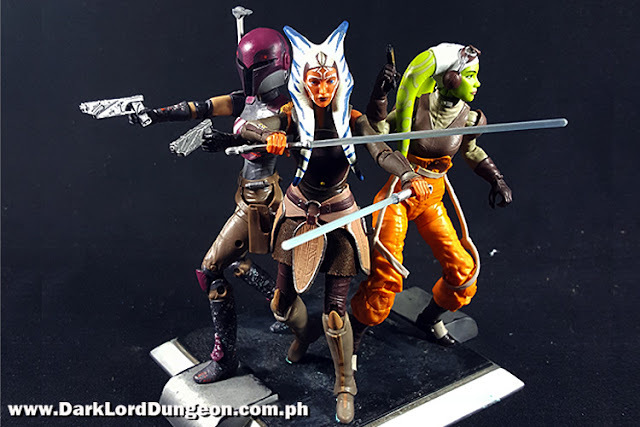 She's available on Amazon for US$ 17.99 (Roughly PhP 920 pesos plus shipping).